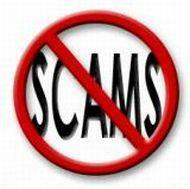 Good China Shopping Websites | NoScams Scam Advisor! Here is a list of good China sites. I will add more details soon. You know a good site I should add? Leave a comment here…..
Basically those China sites where you can register such companies do not care. The only thing what you can do, and what you already did, do your research before you send them money. And post them on other websites, like here. You did that too. Anybody had experience of buy from here ? They offer refurbished phones. It is hard to say if they are legit or not. It maybe be legit, but most likely a single person company. http://www.usbsky.com is that website is scam? It looks like a scam to me. Brand products are usually expensive in China. It is a 100% scam. é,., éél;lkjj How can we proceed in order to get together with others against the fraudulent practices of BELL CANADA ? https://www.ueephone.com is also a scam? I am skeptical. They write ‘established in 2012‘ but the website was only registered 2018-04-21. Their English writing does not make much sense. They write about manufactorer but mean retail or repair shop. They write Hong Kong and China, but there is no Hong Kong address. I would not feel good here. http://www.anandacn.com is also a scam? I am not sure about them. You can try, but with greatest care. Please report back. Something else I have found with eBay and AliBaba. Many of the sellers advertise fake items. Yes, you will get the item, but it will be fake. Neither eBay nor AliBaba administration will do anything about it. Seeds of non-existent plants: rainbow coloured roses, blue watermelons, and so on. You will get a packet of grass or radish seeds, and by the time you germinate them it will be too late to even leave negative feedback. Silk: there are thousands of silk items listed, nearly all of them have no silk content. “Genuine Thai Silk” is eBay speak for “100% polyester”. Opals: again, thousands of listings with almost none being real opal. Mostly plastics or other synthetics. I think the sellers believe that opal is a colour rather than a gemstone. eBay has a item not as described complain procedure. But it can be tricky to achieve success. Your seed example is a classic. You will have time-out before you even know. With other products, for example fake SD cards, the (usually Chinese) seller will ask you to cancel the report and promises you anything you want to hear. Till you cancel the claim, then you don’t hear from them again. A closed claim can’t be reopened. They know the eBay system very well. My advise with eBay is, do not hesitate. File your claim and ignore all sellers responses and end the claim as soon as you can. Don’t try runbuybest.com its a scam I got the chat to prove it. Is runbuybest.com a scam really? Yes, it is a scam. 100% sure. Oh no! How can i gety money back? Hello i’m in China i buy materials to runbestbuy, i understand now it’s a scam , Can i go to see the police their?I transfer money by bank . I have name of the people and account number and bank. You can try. I doubt you will ever see your money again, or the goods you paid for, but it is worth a try if you are in China anyway. I suggest you print out everything, the website, the order page, the bank details, everything. Again, to get money back is very unlikely. Chinese police will usually not help when foreigners are involved. To warn others, can you let us know what you bought and the amount? Sunsky-online is a not scam. But selling a duplicate of phone and parts. Once you order, no matter the goods are bad or damaged, you won’t get any other goods are refund. Money will be gone. Is runbuybest.com is a scam? runbuybest.com is certainly a scam. http://hk-ori.com/ hey are those scams!! Any China website you see an iPhone for export is a scam. So they are a scam too.